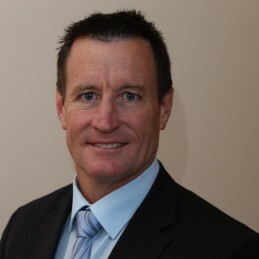 The name John Worsfold is synonymous with success in the west as the successful coach of the West Coast Eagles between 2002 and 2013. In his first six years at the helm the Eagles did not miss the finals. John is one of the best known football and sporting personalities in Western Australia and the West Coast Eagles favourite son. As a player he won the club best and fairest in 1988 and was appointed captain in 1991, where he remained until retirement in 1998. He played 209 games for the club including 1992 and 1994 premierships. In 2006 he became only the fourth person in AFL/VFL history to captain and coach the same club to premierships. In 2009 he broke Mick Malhouse’s record for most games coached at West Coast. In 2004 John became an inaugural inductee into the West Australian Football Hall of Fame. He won the inaugural Allan Jeans award for coach of the year in 2011. An entertaining and lively speaker, John speaks of team work, team building and goal setting. He draws on his successes and failures to discuss leadership through adversity and management approaches during tough times, using the Eagles’ 2010 last placed finish as an example. John can speak to you with authority on how to keep your team motivated and focused on goals. John tailors his presentation to fit client’s needs.